Ahhh…. 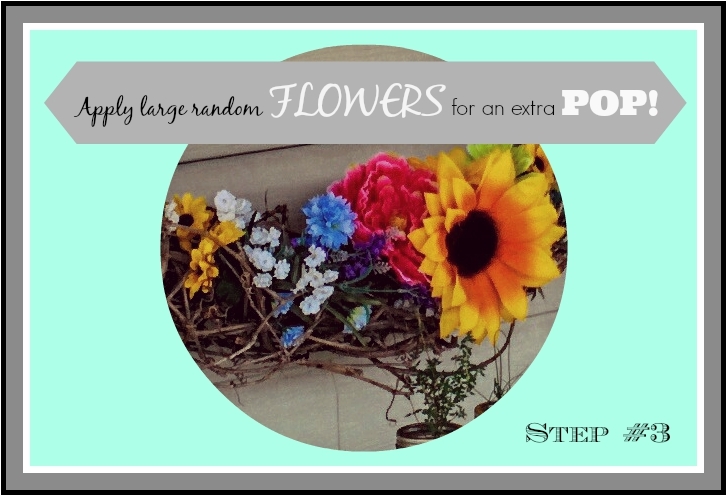 Wreath decorating with faux flowers…. what can I say?! It’s really not that hard! (I promise!)…. Check out these 3 EASY steps for applying equal coverage to a wreath of any size! Tick-Tock…. just pretend it’s a Clock! Step 1: After selecting your faux flowers or fauna, trim the stems to about 4″. (I find that a small pair of side cutters works best for this!) Step 2: Start by placing one colour of flower at 12, 3, 9 & 6 o’clock. Follow up by placing the other flower colours directly beside those first placed flowers. Continue to do so until all of your flowers have been used! Step 3: To add an extra POP! to your wreath, add large random flowers to about 10/11 and 5 o’clock. See?? Sooooo EASY!!! !